I am always looking for different outfits that I can add to my fashion world. I LOVE CLOTHES AND SHOES! When searching the net I came across this outfit from one of my favorite, favorite retailers online ChicandCurvy. 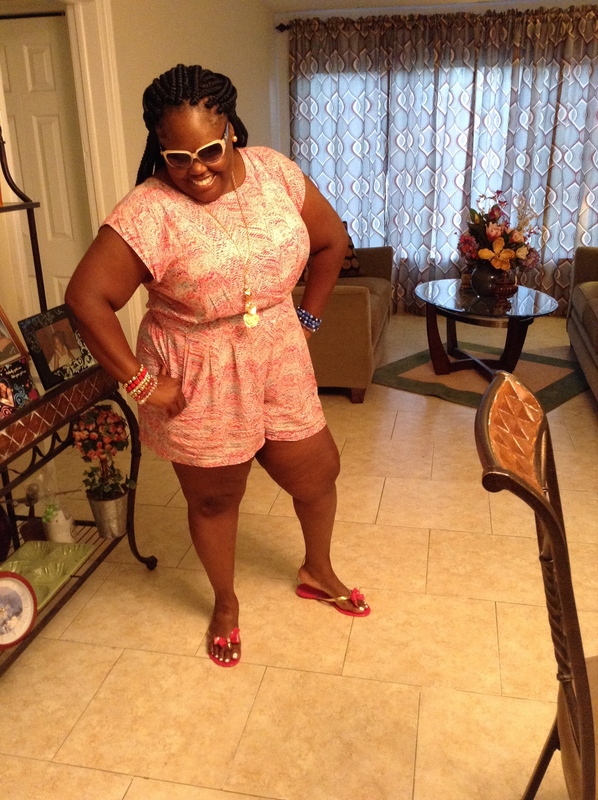 I automatically said this is a “gotta-have!” When I wore this romper for the first time it made feel and look great! 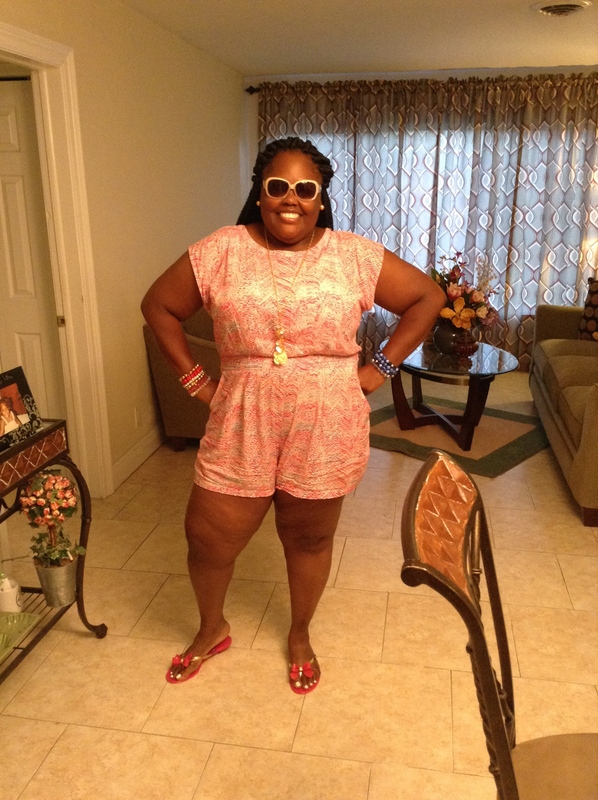 This romper is very cool and light for the spring and summer breeze! The romper has an Aztec print going horizontal with spring colors of popping pink, bright blue with hidden egg-shell white hidden in the background. Thanks for staying Curvy and always remember enJoy your Curves….Fashionably!